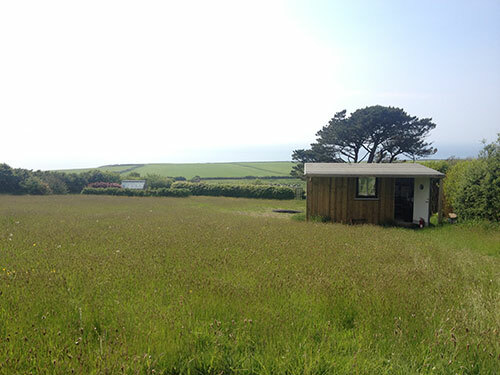 It was another beautiful day during our site visit in Cornwall. 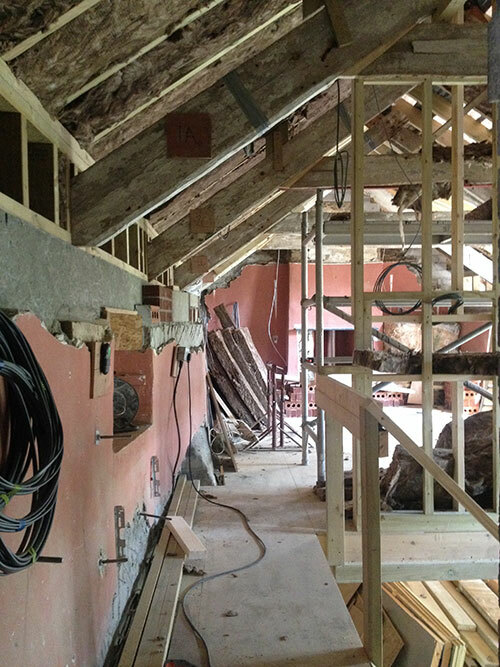 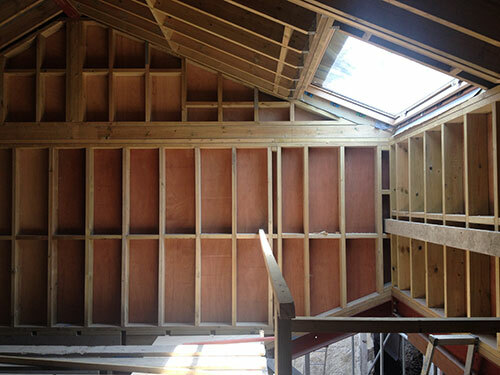 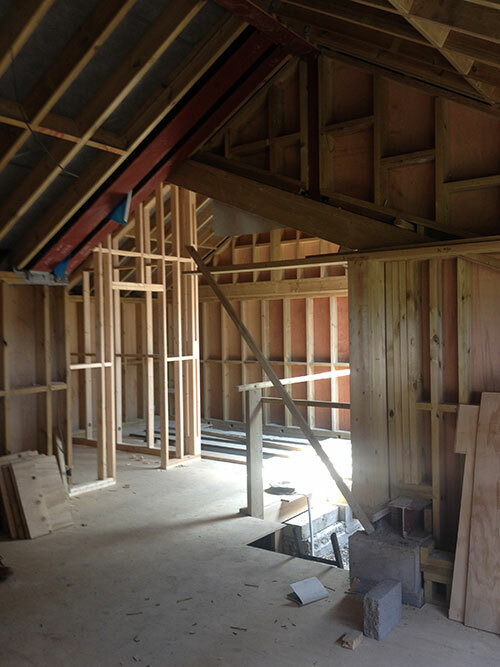 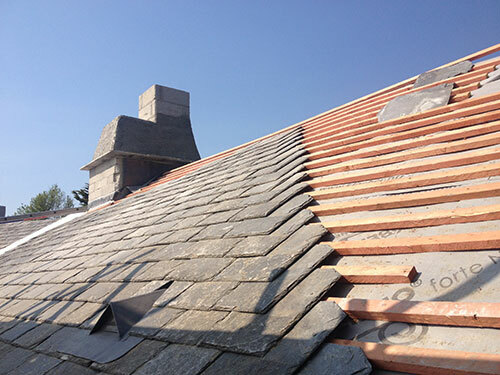 Works are progressing on schedule and we are happy to see that the roof of the main house almost complete. 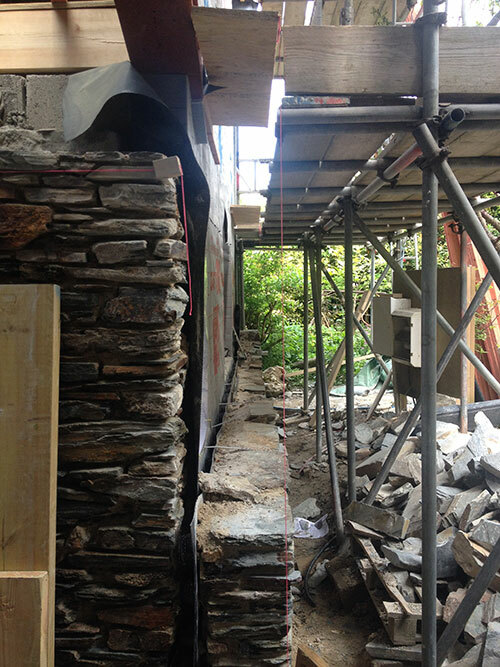 The new stone walls for the out-building are half way finished and the windows have started arriving on site. 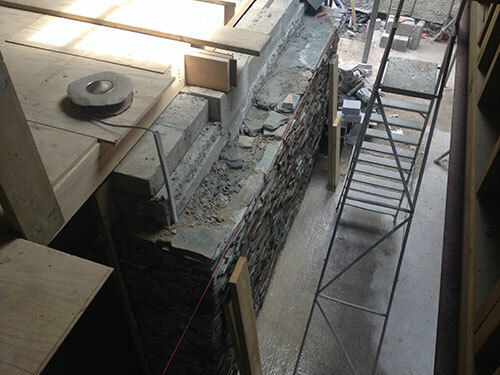 At this point the wall structures are almost finished and we are looking to the project’s completion in October.